Hello ladies, happy Monday! I'm going to keep this super short today but I just wanted to pop in and encourage you all to enter the giveaway that my friends and I have partnered in to thank you for being such great readers. It's a $100 dollar Nordstrom gift card. Who wouldn't love that?! Just in time for Mother's Day too. Use the rafflecopter below to enter. You must be 18+ years of age and the contest is open to U.S. and Canada only. It ends May 7th CST. Good luck! 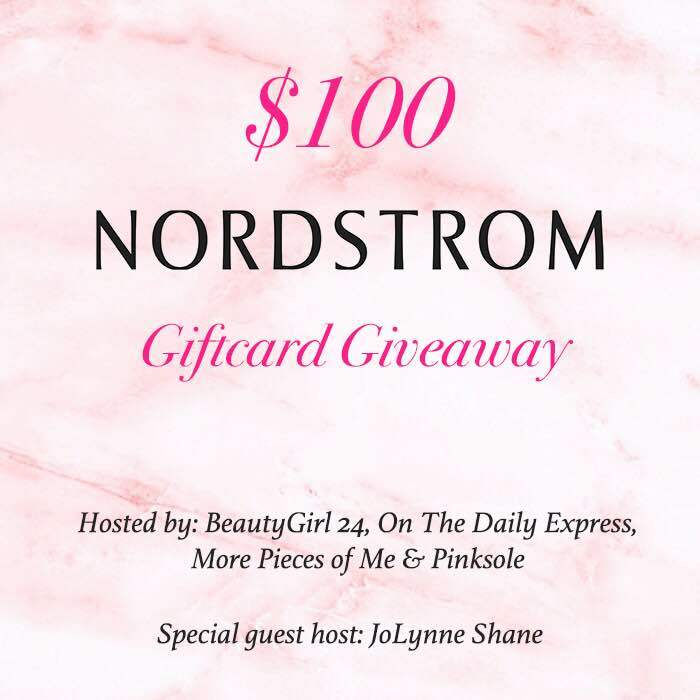 Great giveaway to one of my favorite stores!